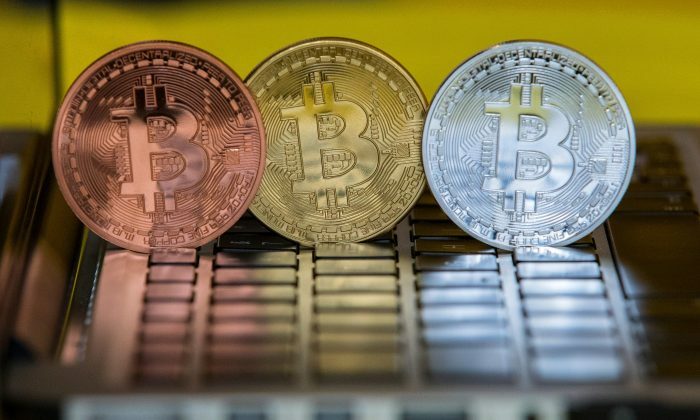 Bitcoin and other cryptocurrencies have been dealt another indictment, this time by the Bank for International Settlements (BIS), which thoroughly nixed their ability to function as money. Known as the central bank for central banks, the Switzerland-based BIS reiterated the many shortfalls cryptocurrencies face, including their lack of scalability, vulnerability to fraud and other manipulation, inability to properly satisfy basic payment functions, and even their unleashing of environmental damage. A one-year chart of bitcoin shows that the exuberance is gone. 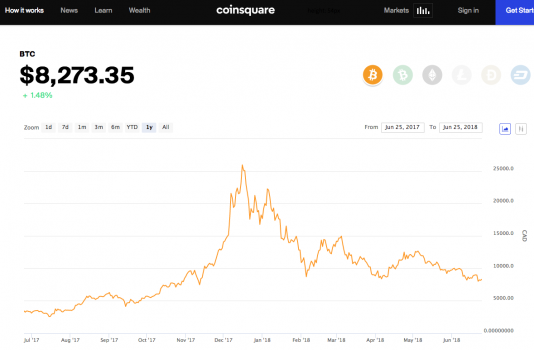 From a high of over C$25,000 in December, it is worth just under C$8,300, according to Coinsquare.com on June 25. Other cryptocurrencies like ethereum and litecoin show similar negative price trends. There are actually several thousand different cryptocurrencies today, with more being created; that’s certainly not how the BIS expects a means of payment to work. “Attempting to recreate trust in a decentralized way cuts too many corners and creates too many bottlenecks for cryptocurrencies to function as a monetary system,” said BIS research head Hyun Song Shin at the organization’s annual general meeting on June 24. Shin reported that the total electricity use of bitcoin mining equalled that of a mid-sized economy like Switzerland. “Put in the simplest terms, the quest for decentralized trust has quickly become an environmental disaster,” said Shin in a June 17 speech. But more specifically, cryptocurrencies fail as currencies largely due to two limitations: their lack of scalability and inability to ensure finality of payments. One of the principles of cryptocurrencies—their decentralized nature—is a flaw that limits their wider applicability. Shin gave the analogy of “the more the merrier” applied to traditional money in that if more people believe in its usage, that reinforces its worth. Cash and bank deposits don’t become more expensive to use as more people use them. With cryptocurrencies, it’s the opposite. 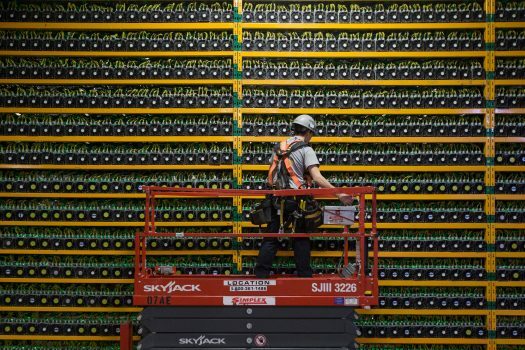 Shin said it’s a case of “the more the sorrier,” since the incentives disappear for those maintaining the records or ledger—the “miners”—as transaction volume rises. Trust in cryptocurrencies is waning. From a financial market participant’s perspective, Peter Tchir, a global macro strategist at Academy Securities, said bitcoin has lost its way. “I view Bitcoin’s price as a function of the market’s perception of the anticipated new adoption rate. That new adoption rate is low. Very low,” he wrote for Forbes. The Bank of Canada prefers not to refer to bitcoin as a cryptocurrency, but rather as a cryptoasset. The foundation of cryptocurrencies—distributed ledger technology (DLT)—used to track financial transactions has central banks thinking about issuing their own versions. However, Shin said such an instrument “would come with substantial financial vulnerabilities, while the benefits are less clear.” No leading contenders for how a central bank digital currency could operate have emerged yet. On a wholesale basis—between the central bank and major financial institutions—there may be some efficiencies and reductions of operational costs since the status quo is largely legacy systems. But a general-use central bank digital currency seems more unlikely. A year ago, the Bank of Canada published a report about Project Jasper, an experiment on the use of DLT for domestic interbank payments using central bank money. The BoC concluded that DLT wasn’t mature enough for adoption, although some interesting findings emerged. Money could be transferred in real time and payments could be netted, which reduces risks. Also, the general public could potentially have the anonymity of cash transactions (peer-to-peer) or have accounts directly with the central bank. The latter feature could give a central bank a better feel for economic activity. But the BIS notes that conducting monetary policy and deposit funding for commercial banks are thorny issues that would still need to be resolved. Where this is going is particularly relevant for a country like Sweden where the use of cash has dropped dramatically—it accounts for just 13 percent of store payments, according to the Riksbank, Sweden’s central bank. Riksbank governor Stefan Ingves sees central banks as still having a role in providing safe and secure payment infrastructure even if they potentially may no longer need to provide a government-guaranteed means of payment to the general public. But the key is also to avoid excluding those who can only pay with cash from participating in the payments system—the financial inclusion argument. “Although the new technology is interesting and can probably create value added in the long run, it is important for central banks to make it clear that cryptocurrencies are generally not currencies but rather assets and high-risk investments,” Ingves said in a commentary for the International Monetary Fund. For now, central bankers are calling for an internationally aligned set of policies for cryptoassets. While, in theory, cryptocurrencies challenge the very foundations of central banking, their limitations appear unlikely to create significant challenges for established payment systems and monetary policy in the near term.